This post is part of a social shopper marketing insight campaign with Pollinate Media Group™ and Clearasil, but all my opinions are my own. #pmedia #SuperFruits http://cmp.ly/3/8vNxcO. Somedays, I curse the skin blemish gods. Growing up, I happened to be one of those people blessed with reasonably good skin. Unlike many of my peers, I didn't hit the bad pimply stage in late middle school and early high school. 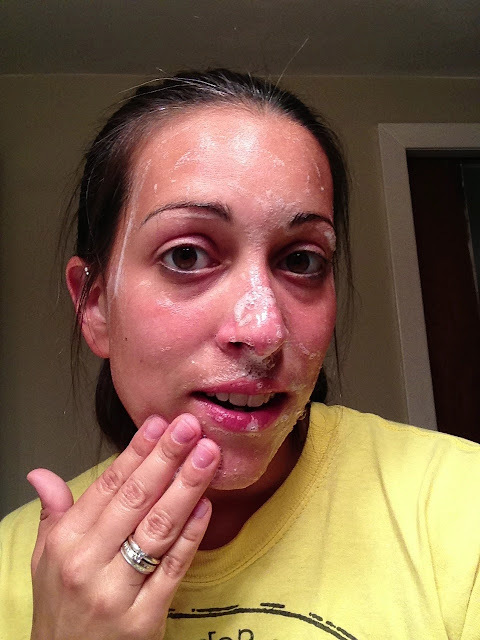 I had many friends who had to take the big guns acne medications because their skin problems. With these medications, patients had to undergo routine blood and liver tests because of how strong the chemicals were. The teen years can be rough, friends. As I was saying, I had reasonably good skin. It started in late high school. I while my entire face wasn't prone to breaking out, I would regularly get one large pimple. Lucky for me it was usually planted in the middle of my face for all to see. Not only was it an eye-sore, it was painful. 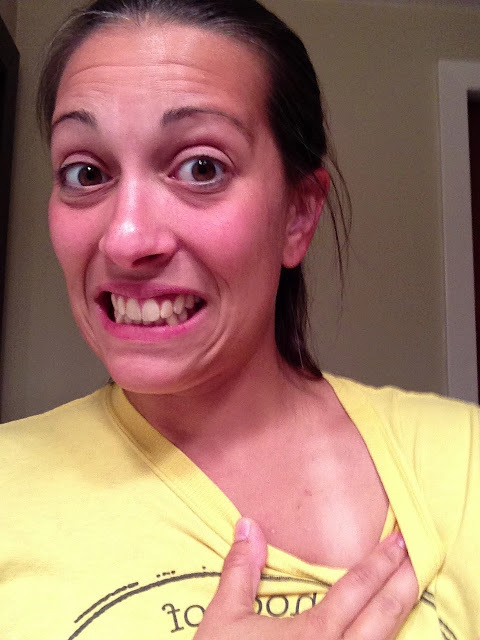 Not long after they started popping up, I noticed blemishes along my shoulders. These blemishes soon spread to my back. Yes, they could be hidden with a shirt, but they were uncomfortable and quite the disgrace when it came to wearing a sleeveless dress at prom. Over the years, the Big Pimples dissapated a bit, and the "back-ne" (ie: back acne) would come and go. 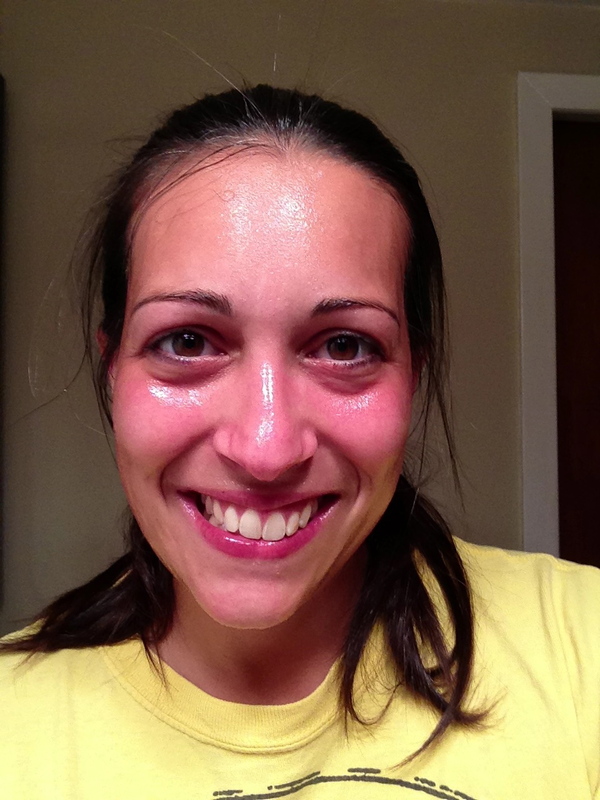 In recent years, as I have shared many times on the blog, I have taken up running. At first it was off-and-on. But over the past year it has become consistent and increasingly more challenging. With the new level of exertion, some of my old skin blemish ghosts have come back to haunt me. While my face tends to stay mostly clear (aside from the stray pimple from time to time), my collarbone, shoulders and back have started taking a skin beating due to my running. Mainly, the sweat from my running. I try my best to wear moisture-wicking clothes (including sports bras) but when you are drenched after a run and those articles of clothing are clinging to your body, wicking only goes so far. 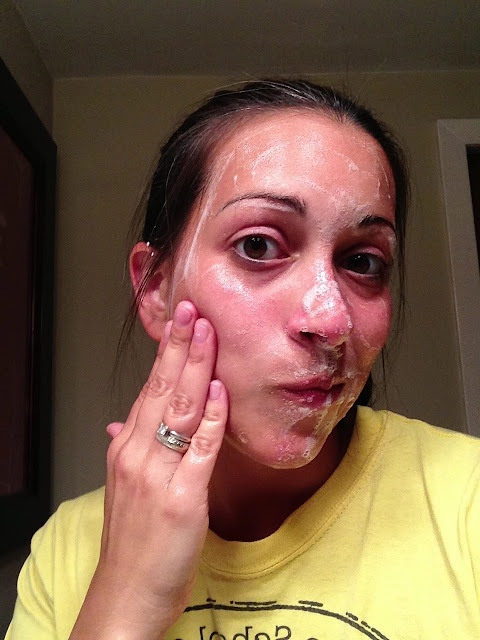 Since I had gotten out of the habit of battling my skin problems, I wasn't sure how to handle it. I tried regular soap at first, which produced only minimal results. And then I started trying various skin creams and cleansers. Some are more effective than others, but none are completely wiping away the issue. So when I was approached about trying Clearasil’s NEW! 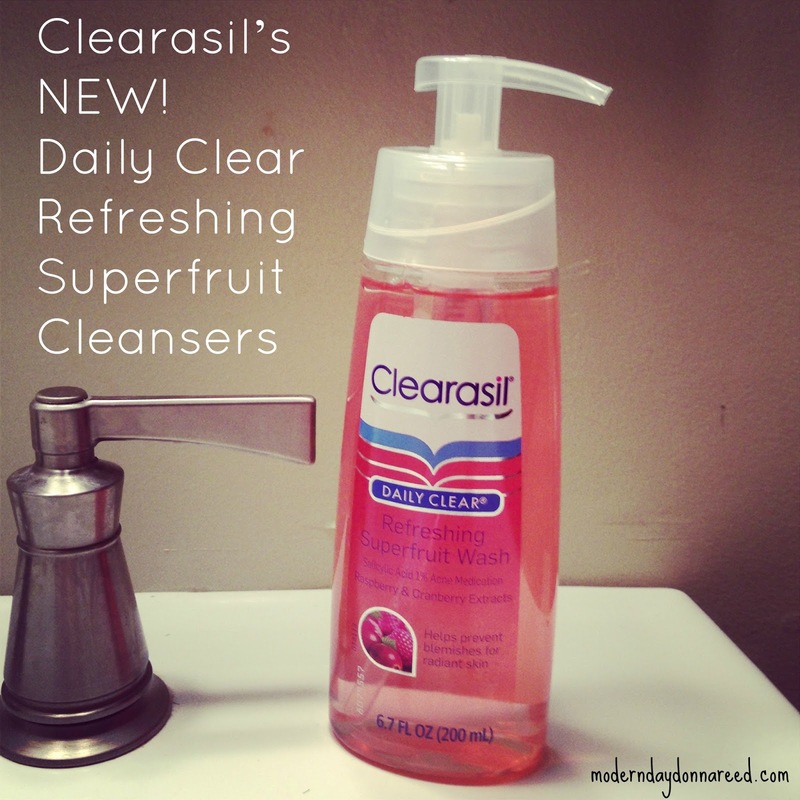 Daily Clear Refreshing Superfruit Cleansers I was eager to check it out. And I am pretty pleased with the results. First, I headed to my local Walmart (which is huge, by the way, as it was recently expanded to one of those gargantuan super Walmarts). And there it was, sitting pretty on the shelf. Ready for action at Walmart! Next, I went home and lathered, slathered, and rinsed on a daily basis. "BE GONE, GREASE AND OIL!" A rinsed and refreshed happy gal. Here's what I like: Clearasil’s NEW! Daily Clear Refreshing Superfruit Cleansers are gentle, so you can use them up to twice a day. The cleanser itself contains 1% salicylic acid, which works to fight that acne (or back-ne!) into submission. This is a great cleanser for someone who is looking for an inexpensive skin care regime that works well at fighting acne. If you'd like to give Clearasil's Superfruit Cleansers a test-drive, here is a Walmart coupon that gives you $1 off! What skin issues do you contend with? 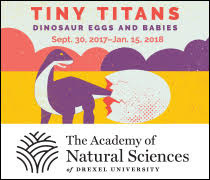 How do you battle them? If you've tried Clearasil’s NEW! Daily Clear Refreshing Superfruit Cleansers, I'd love to hear about your experience!